An indoor blazer that also works as an outdoor jacket is a rare and special breed--exactly the kind my wardrobe needs. I'm crushed that the And Other Stories one, above, is sold out in my size, so I searched for other viable versions that will come in handy when I travel to Rome in a few weeks (when the average daily temperature is 62 degrees). 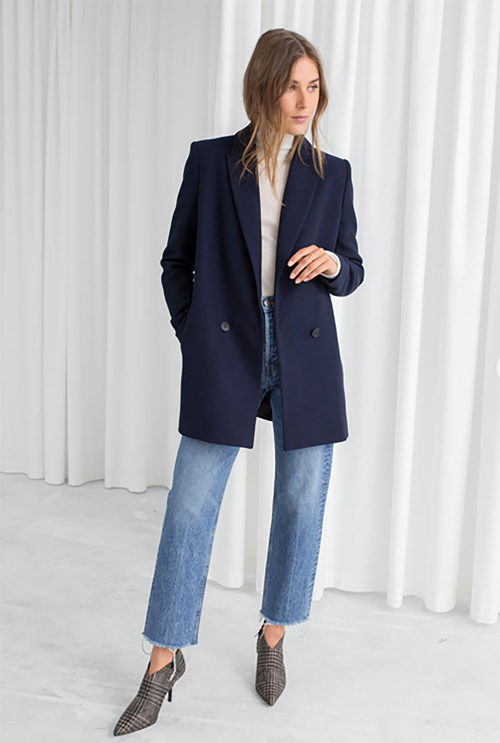 So far, I've come across these hard-workers from Ganni, Isabel Marant Etoile, Stella McCartney, and Madewell. P.S. Love how this kind of jacket not only does double duty, but carries the whole outfit!